If you are looking for things to do in Portsmouth then there’s plenty to keep kids entertained whatever the season from family attractions to museums and events. 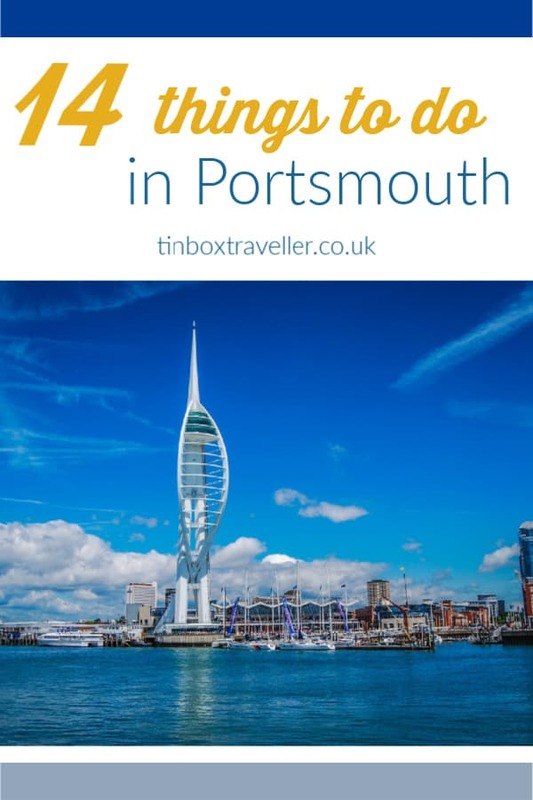 Before moving to Devon I lived in a Portsmouth postcode for more than thirty years, so have a pretty good idea of the very best attractions for families. You don’t even have to spend a lot of money to appreciate the city’s maritime heritage and views of the Solent. Pack your beach bag and head to the sea front where you’ll find plenty of British seaside charm and historic fortifications. 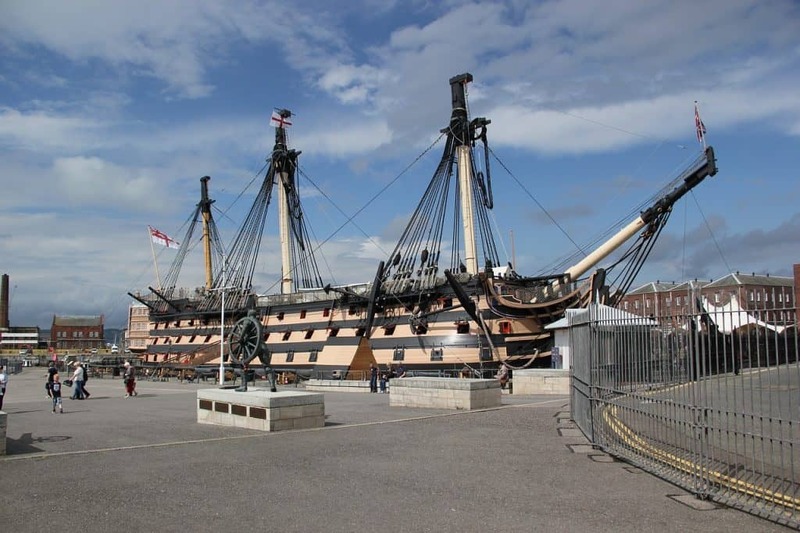 See 11 attractions for the price of one at Portsmouth Historic Dockyard. From Nelson’s flagship, HMS Victory, to the interactive Action Stations activity boathouse and the National Museum of the Royal Navy, there’s more than a full day out to be had here. The good news is that once you’ve bought your tickets you can return again within 12 months. One of our personal favourite things to do is to visit during the dockyard’s Christmas events when costumed characters from the past roam the Victorian streets. The dockyard attraction has its own car park. If you are travelling from to Portsmouth from the west we can also recommend parking in Gosport and catching the ferry to avoid the city traffic. Portsmouth Historic Dockyard | All weather attraction | Open all year. If you love traditional fun fairs then a visit to Clarence Pier is a must. There are rides, arcades and family activities like crazy golf, high ropes and indoor play. You can pay for rides using tokens or unlimited wristbands that can be bought at the onsite kiosk or in advance online. Discover the story of The Mary Rose, why she sank and who was onboard in this incredible exhibition where the preserved wreak is the star of the show. This indoor attraction is packed full of interactive features like touch screen games, dressing up in Tudor costumes and story telling using light and projections to explain life on a Tudor warship. I’ve not been to see the Mary Rose since I was a kid but would love to take the girls back now. Use the Portsmouth Historic Dockyard car park. Come face to face with creatures from the deep in more than 40 displays around the aquarium including sharks, lobsters and fish native to UK shores. There’s also Asian Short Clawed Otters and reptiles. Time your visit with the five feeding times during the day to make the most of this creature experience. There’s lots of parking along the seafront. Bluereef Aquarium | Wet day activity | Open all year. This iconic 170m tall tower, which was completed in 2005, can been seen from 23 miles away. Climb up more than 100 meter to reach the three viewing platforms or ascend in 30 seconds in the lift. From the top on a clear day its possible to see across the Solent to the Isle of Wight, the South Downs and along the English Channel coast. If you have a head for heights you can step onto the glass Sky Walk 100 meters above the sea or even book an abseiling experience. Park in the Gunwharf Quays shopping centre were you’ll also find lots of restaurants, a cinema and outlet stores. Emirates Spinnaker Tower | All weather but best on a sunny day | Open all year. Find out the personal stories behind the D Day landings in 1944. This Portsmouth attraction is ideal for children learning about the Second World War, showing them how the preparations were made, where the landings embarked from along the South Coast, and plenty of artefacts to bring history alive. There’s lots of parking along the seafront. The D Day Museum | Wet day activity | Open all year. Find out about the history of this maritime city through exhibitions about its people and industry, as well as seeing touring displays of art. One of the city’s most famous residents was Arthur Conan Doyle – the author of Sherlock Holmes. The museum houses the world’s largest Sherlock Holmes exhibition. On street parking is available. Portsmouth City Museum | Wet day activity | Open all year. This small attraction is set in an old Victorian fort just back from the seafront. The 1/12th scale village includes 40 model houses and scenes, plus a G scale railway. While at the model village you can also explore the 100ft long rifleman’s tunnel and have a picnic overlooking the seafront. There’s a handy car park right outside the model village or you can park on the seafront. You’ll also find a large playground and a few cafes outside. 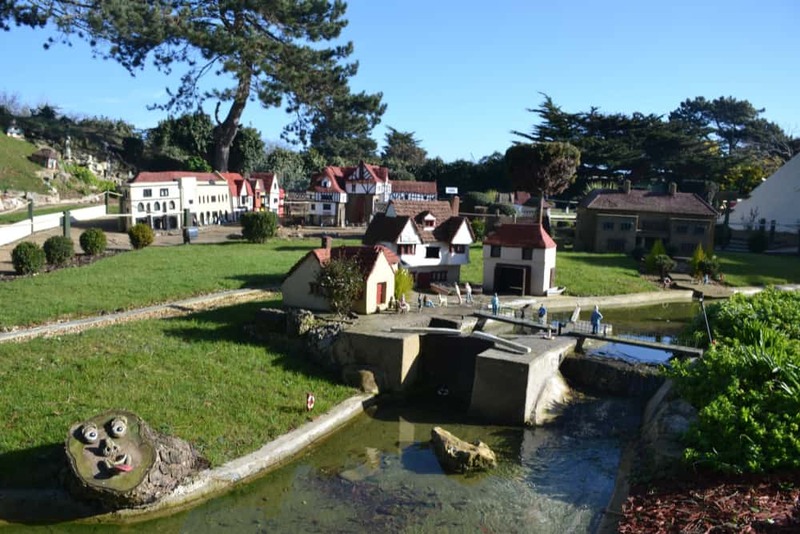 Southsea Model Village |Outdoor activity | This is a seasonal attraction so check the website for opening times. The castle was built by King Henry VIII as part of a series of south coast defences against French invasion and was in use almost continuously until 1960. It sits at the entrance to Portsmouth Harbour so was a strategically significant fortification through the centuries. It’s free to enter the keep and enjoy the views across the harbour and Solent. There’s a small car park close by and limited on street parking. Southsea Castle | Outdoor activity | Open all year. A fun day out or even short break from Portsmouth is to hop on a Wightlink ferry or Hovertravel hovercraft to the Isle of Wight. Read about our last day trip to the Isle of Wight. It’s worth keeping an eye on what’s on in Portsmouth throughout the year as there are plenty of family events. One of our favourite is the Dickens Christmas at Portsmouth Historic Dockyard which we have visited twice. Read about our last day out there. If your family is into music then the Victorious Festival held each August has been highly recommended to us as being family-friendly. Also in the summer you can find the Kite Festival held on Southsea Common. This attracts kite flyers and fans from around the world to see kites of all shapes and sides fly on the seafront. We’re lucky to still have family in the Portsmouth area so stay with them when we are visiting. If you’re looking for somewhere to stay close to Portsmouth we can also recommend The Solent Hotel & Spa. 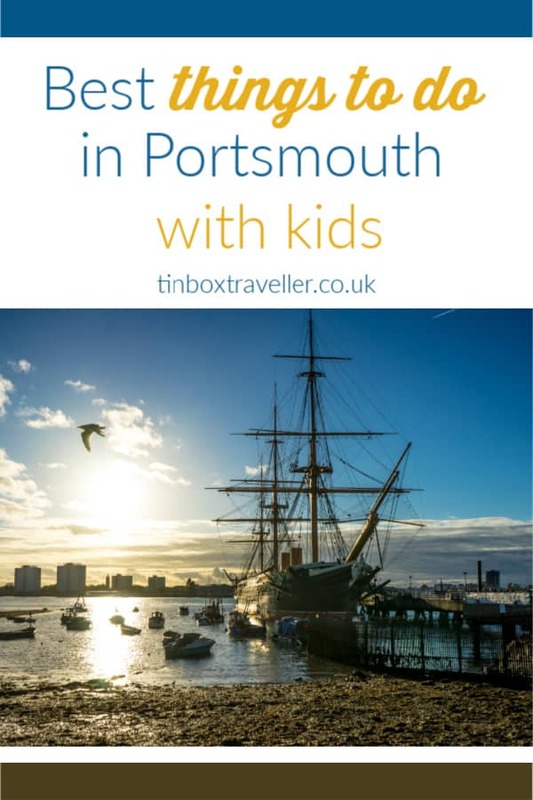 If you’re heading to the South Coast then why not pin this post about things to do in Portsmouth with kids?